Our focus is on providing a quality wood pallet product and meeting the high demands of our clients supply chain needs. We do this by having multiple facilities to maintain extensive inventories, utilizing high volume equipment that can produce requirements quickly, and managing our own freight and logistics fleet to ensure we can react quickly to our customer’s demands. We cover the Greater Toronto Area but through a partnered network across the country we can supply various locations across Canada. We are able to service all your pallet or wood packaging needs by providing a wide variety of products and services. You have worked hard for those orders and your efforts have now been rewarded with substantial orders from a number of clients. And in keeping with your goal to satisfy your customers’ needs, you want to ensure that these stocks arrive in their warehouses on schedule and in the best condition possible. 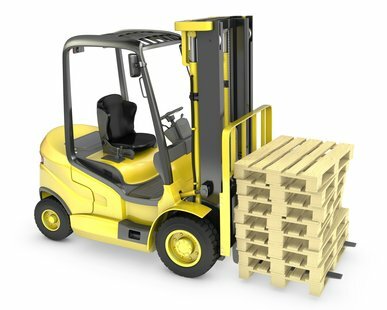 You do not want to lose your customer’s goodwill by failing to deliver those goods simply because of the lack of wooden pallets. Aware of this potential problem, Woodbridge Pallet Ltd. has made it its commitment that all clients will have the needed pallets for their requirements. The company has established multiple facilities in key locations with a total area of 180,000 square feet. With this much storage capacity, clients are assured that there will always be wooden pallets at any time and at any quantity. To ensure that this competitive advantage is maintained, Woodbridge Pallet Ltd. has made it its mission to have in place the most efficient and advanced equipment using the latest technology. The company takes pride in its state-of-the-art conveyor equipment, automated sorting system, ultramodern communication, and a repair and construction facility capable of creating or repairing 15,000 pallets per day. Should a client desire new wooden pallets or repair existing ones, Woodbridge Pallets Ltd. will always be there to provide prompt and efficient service. The ever-reliable logistical support offered by the company guarantees that clients receive value they rightly deserve. Over seventy trailers, supported by a fleet of well-conditioned vehicles, are available to make sure that wooden pallets are made available immediately to the clients. The 20 modern loading docks only serve to further ascertain that efficient service is received by the client. Customer satisfaction has been the company’s motivation and Woodbridge Pallet Ltd. has lived up to this commitment. Valued clients can always be rest assured that there will be wooden pallets in Toronto, wooden pallets in Mississauga, and wooden pallets in Vaughan. Woodbridge Pallet services customers in all industries and sectors. Our client focus consists of a high volume, standard size pallet environment but we also create many custom pallets and non-standard pallet requests. We have the capacity and knowledge to handle any pallet request and volume requirement. Woodbridge Pallet handles pallet repair and manufacture requests from a number of well recognized National and International companies. Industries include but not limited to Food & Beverage, Consumer Goods, Petro-Chemical, Printing, Automotive, and Building Supplies.